The 60 Minutes documentary, Tucson: Descent Into Madness, about a shooting in Arizona offers deep insight into what drives a person to such violence. 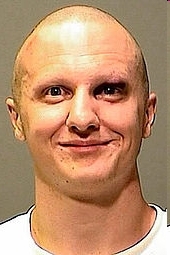 The perpetrator in Tucson was Jared Loughner. Excerpts from an interview of two friends of Jared are at the end of this post. 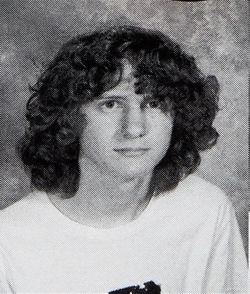 What caught my attention was when his friends said how “Jared literally believes in nothing, nothingness”, and that “He was obsessed with how words were meaningless”. That comes awfully close to how I’d describe a Taoist. Indeed, that describes me, albeit without that worrisome “literally believes in nothing” and “obsessed with how words were meaningless”. It sounds like he didn’t have anything to counterbalance his emptiness. This reminds me of chapter 72’s, When the people lack a proper sense of awe, then some awful visitation will descend upon them. Somehow, Jared’s mind fell into Taoist-like perceptions that he couldn’t handle emotionally. Evidently, stumbling into “nothingness” without the stabilizing influence of a Tao Te Ching-like context creates destructive forces. Finding life meaning when the conventional forms of meaning begin to wither away requires three treasures mentioned in chapter 67, The first is known as compassion, The second is known as frugality, The third is known as not daring to take the lead in the empire. These anchor intention and counterbalance one’s loss of faith in civilization’s often-arbitrary principles and values. A symptoms point of view tells me that we cling to things and ideas because we need the sense of connection that provides. Thus, nothing could be worse than feeling this need without enough faith in something in which to cling. “Believing in nothingness” is the worst of both worlds. That would drive any mind into lonely isolation — madness. By the way, years ago I worried for a while whether ‘sharing’ my unorthodox views might really disturb some people’s mind by ripping away their beliefs. I was relieved to find that I never could affect anyone’s mind, at least for more than a moment. We hold on to our worldview tenaciously — for dear life really! Yet, Jared shows why I was concerned. Obviously, Jared had no stable worldview to keep him connected and grounded. Why? I assume neither nature (his genetics) nor nurture (his childhood circumstances) could provide the wherewithal to cope in the modern ‘civilized’ world. Indeed, human cognition exacerbates the nature and nurture dynamics for all of us. Chapter 71’s warning, Not to know yet to think that one knows will lead to difficulty applies to our species because we merely shape our understanding to match our current ‘visceral reality’. A contemporary example of this is the Islamic terrorist who kills in the name of Allah. They are Muslim in name only. Their ‘visceral reality’ is a desperate, disconnected hell from which arises their brutal misunderstanding of Islam. Jared was a kind of Taoist in name only. From the 60 Minutes interview with Jared’s friends. “I was afraid I was going to wake up and find and see his name in an obituary in a couple of days,” Bryce Tierney, a close friend Jared Loughner, told Pelley (the 60 Minutes’ interviewer). Tierney and Conway say that’s because their friend was slipping into insanity and it was showing up in the poetry he wrote. “I started seeing heavy influence of just chaos and just non-connective patterning in his, in his poetry. Just ranting or mixing of ideas,” Conway explained. Tierney and Conway told “60 Minutes” Loughner was interested in a philosophy called nihilism; it essentially says life is meaningless. They say he was obsessed with the film “Waking Life” in which a man walks through his dreams listening to various philosophies. A character in the film echoes something at the center of Loughner’s apparent delusions: that big government and media conspire to silence the average guy. To protest his lack of voice, the character in the film sets himself on fire. Loughner told his friends reality has no more substance than dreams. “He was obsessed with how words were meaningless, you know, you could say ‘This is a cup.’ And he’d be like, ‘Is it a cup or is it a pool? Is it a shark? Is it, you know, an airplane?’ You know?” Conway said. One can find certainly a whole lot of details prefer that to take into consideration. This is a great suggest increase. I supply the thoughts above as general inspiration but clearly you will discover questions such as the one you start up while the essential thing could be being employed in honest good faith. I don?t know if guidelines have emerged around offers like that, but Read that your chosen job is clearly referred to as a fair game. Both girls and boys glance at the impact of a little moment’s pleasure, throughout their lives. Good, now I see more what you meant. I’m afraid I no longer even think of these matters in terms this or that “tradition”. I reckon each person’s understanding of what ‘is’ reflects the needs and fears of their own era. Of course that applies to me also. This makes the taoist point of view the only stop-over on the the way to silence. I agree with you, though I think this is more a “Taoist/Zennist” view than what the traditional Theravadan Buddhists would posit (a peruse through the Dhammapada and some of the Middle Discourses would support their take). I guess I’m saying that according to more traditional and early Buddhist thought I don’t agree it is either/or in the sense of either staying in delusion and living the life of a house-holder without a chance of liberation in this life… or taking up a life of a monk and working through the four stages of enlightenment. I don’t think this accords with what is ‘natural’ as is found in philosophical Taoist thought. Whether one agrees with Buddha, or anything for that matter, depends on the eye of the beholder. I’ve found what we see is more a reflection of who we are as beholders, than of the the thing beheld. My sense of Buddha’s truth of suffering is that peace of mind/emotion come through accepting that pleasure (gain/attachment) and pain (loss) produce each other. My sanity rests on that simple sense of balance. A sense that is all to easily drown out by the scurry forward. It seems to be a tough transition from realism to idealism, realizing that life very well may just be a dream of a butterfly. But so what? I don’t think that I would have made the same choice as Neo in the “Matrix”. Red pill/blue pill… why either/or? This is part of the reason I left my Zen practice and felt more comfortable with ‘philosophical’ Taoism (though I’m done labeling myself, I wouldn’t call myself a Taoist, per se). I DON’T agree with the Buddha in the sense that, though my suffering may be caused by attachment, I’m perfectly fine with suffering and delusion as far as enjoying my daughter, my wife, a sunrise, the feeling after a good run, life in general… and knowing I will eventually lose them all. I disagree with Dogen Zenji’s “practice is enlightenment”, and find more home with Rinzai and the “crazy masters” like Bankei and Bassui (noticing the strong influence of Taoism and the naturalness of “just living”). Anyways… I find the whole argument of “reality” a sometimes fun play in language and existentialism, but in keeping with Lao-Tzu… moderation is key, the real fun comes in just enjoying life here and now as it is… death will come eventually, and we can worry about the rest of the other stuff then. I think the most important part of the observations that life is meaningless, dwelling on nothingness, is remembering that they are observations. Life (reality) just is. What we think and feel about it is our perspective. The more I can remember that, the more I can turn back to “the big picture”, and not just stay glued to my perspective, as if that’s all there is. Being as mindful of the moment as I can helps to ease up on the sharpness of my emotional judgement. I’m not finding a very bold dividing line between Taoism and nihilism. “Dividing lines” are really in the eye of the beholder. The fuzzier the dividing lines appear, the more we are glimpsing the big picture forest rather than the agenda of our narrow interests (desires). I mean, life is meaningless, essentially. Not if you’re hungry! Then the mind relinquishes ‘control’ back to biology. The ideas embodied in Taoist thought clearly have the potential to lead one in the direction of homicidal or suicidal ideas. Not so in my view. Anyone with murderous or suicidal intentions (unbalanced) is incapable of seeing through taoist’s eyes. Although, they might think they understand. Years ago I worried whether sharing my ‘taoist’ point of view might mess up someone’s mind. I was relieved to find I actually never changed anyone’s mind (for more than a moment anyway). We hold our world-views most tenaciously! Although, Jared shows why I was concerned. Fortunately everything happens to us naturally, whether or not to our liking. I now realize that anyone who understands what I’m saying already knows, at least intuitively, what I’m driving at. In other words, we only truly understands what we already know. Understanding vs. Knowing speaks to this somewhat. Those who do not know yet think that they know, are simply shaping their understanding to match their current gut knowing (feeling). An example of this are the Islamic terrorist killing in the name of Allah (same goes for Christians, Jews, Buddhist (etc.) who are such in name only). Jarad was a kind of ‘taoist’ in name only. For my part, I’ve found that if I’m able to really detach myself from my worries (the ease of which differs depending on the worries), I start to feel desperately bored, which leads into a profound depression. Without anything to worry about, I quickly find I lose interest in everything. That’s why I say, hunger gives you something real to worry about. This is also why those well fed are more apt to be neurotic. Christ spoke to this when he said, “It is easy for a It is easier for a camel to go through the eye of a needle, than for a rich man to enter into the kingdom of God”. So… as a relatively new Taoist, I’m not finding a very bold dividing line between Taoism and nihilism. I mean, life is meaningless, essentially. In fact, I’d go a bit further, and say he’s just interpreting the selfsame ideas slightly differently. Which actually leads me onto something I’ve been thinking recently. The ideas embodied in Taoist thought clearly have the potential to lead one in the direction of homicidal or suicidal ideas. For my part, I’ve found that if I’m able to really detach myself from my worries (the ease of which differs depending on the worries), I start to feel desperately bored, which leads into a profound depression. Without anything to worry about, I quickly find I lose interest in everything. I’m not in the slightest bit surprised to find someone with similar ideas has killed a bunch of people. I find myself wondering if there are many people who, after embracing Taoism, have found it too much of an adjustment and killed themselves (despite the notion that “there is a regular executioner whose charge it is to kill”). Any thoughts? I’m sure the fact that I harbour these thoughts means I have more to learn about the practice of Taoism. That’s what I’m here for, I guess.